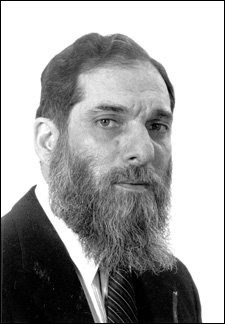 Rabbi Yitzchok Twersky (Professor Isadore Twersky) was born in Boston in 1930, and attended both Boston Latin School and Boston Hebrew College, which was then known as Hebrew Teachers' College. 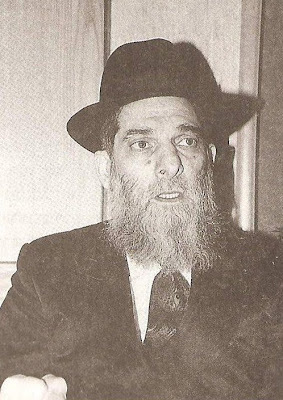 He succeeded his father as the Tolner Rebbe for the last twenty years of his life. He was a son-in-law of Rabbi Dr. Joseph B. Soloveitchik. His elder son, Rabbi Mosheh Twersky, is a lecturer at Yeshivas Toras Moshe in Jerusalem. His other son, Rabbi Mayer Twersky, holds the Leib Merkin Distinguished Professorial Chair in Talmud and Jewish Philosophy and is a rosh yeshiva at Yeshiva University. His daughter Tzipporah Rosenblatt is a lawyer. She is married to Rabbi Dr. Jonathan Rosenblatt, who serves as the rabbi of the Riverdale Jewish Center in New York City. He graduated from Harvard in 1952, where he majored in history. In 1949, he was one of the first students to spend a year abroad at the Hebrew University of Jerusalem, where he developed relationships with such scholarly and literary giants as Gershom Scholem, Yitzhak Baer, Haim Hillel Ben-Sasson and Nobel Prize winner S. Y. Agnon. Upon his graduation from Harvard he began studies toward a doctorate in Near Eastern Languages and Civilizations, under the guidance of the scholar of medieval philosophy, Harry Austryn Wolfson. His doctorate was on the twelfth century Provencal Talmudist, Rabbi Abraham ben David of Posquières (Rabad), which, when subsequently published under the title Rabad of Posquières: A Twelfth-Century Talmudist. He worked at Harvard University for more than 30 years and served as director of the Center for Jewish Studies from 1978 until 1993. He died October 12, 1997 at the age of 67 and was buried in Jerusalem.